I don’t know about you, but I constantly get hair envy. Wherever I go I’m constantly looking at other girl’s hair, and usually wishing it was mine. I’m constantly dying my hair, and re styling it, but I’m never happy with the outcome. A few months ago I experimented with dying my hair dark red before going back to my usual dark chocolate brown ways. 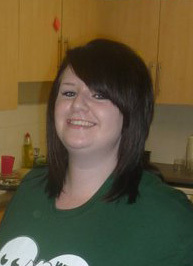 Recently after looking through old photos I’ve thought about changing my hair colour. I’m torn between making my hair lighter, or experimenting with red again. Before when I dyed my hair red it was more of a dark red/plum colour, and I struggled to maintain the colour it was when I first dyed it. 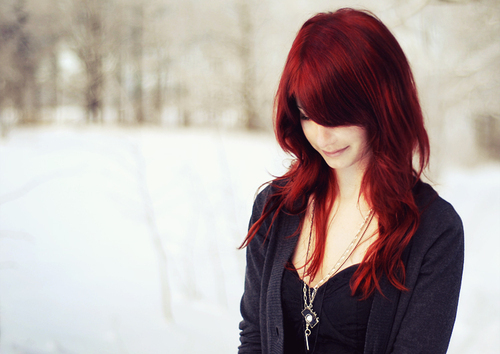 My worry about dying my hair this red I’d have the same problem. I thought I’d post a picture of what my hair colour currently is (please excuse the photo! standard uni bar crawl night!). So I need your opinions, do I lighten my hair, or attempt at red again?